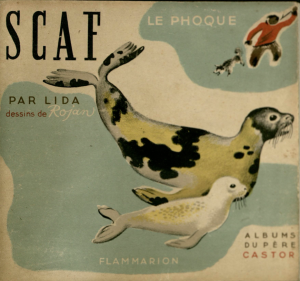 The Père Castor Albums published by Flammarion in 1930s were a huge contribution to children’s literature, and not only in France. 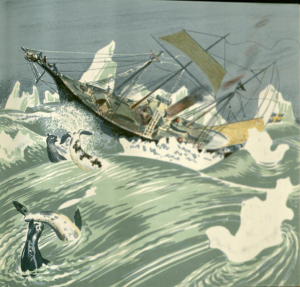 They were translated and reissued many times and many generations in many countries remember their animal and nature stories. The series was launched by Paul Faucher (whose penname was Paul Francis) in 1931. Almost every book in the Wild Animal series in English has the publisher inscription advertising the “delicate gaiety” unique to the French. However, the popular series was created by a truly international team of a French editor, a Czech educator, and two Russian artists. Paul Faucher, a bookseller in the 1920s became interested and immersed in the European educational movement led by Frantisek Bakule and Jean Piaget. In 1929 he founded the French section of the International Education Office and began working with Bakule, who ran an experimental orphanage in Prague. The orphanage accepted healthy children, as well as children who became handicapped during World War I. He successfully integrated both classes of children in independent and creative activities. Bakule’s assistant was a Czech children’s book author Lida Durdikova. 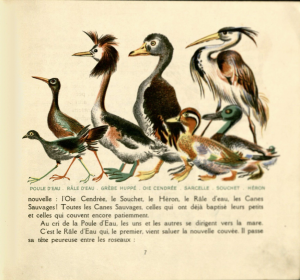 She may have had something to do with Faucher’s interest in children’s literature and helped him launch the Père Castor albums in 1931. She was the main author of the series, working under the pseudonym Lida, and married Faucher in 1933. 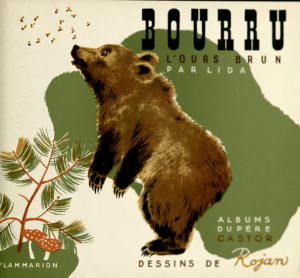 The two Russian artists, responsible for the memorable illustrations of the Père Castor books were Nathalie Parain and Feodor Rojankovsky. Parain, nee Chelpanova, was the daughter of a distinguished Russian scholar and pedagogue G.I. Chelpanov and the student of Petr Konchalovsky. She married a French diplomat in 1926 and moved to Paris, where her artistic career began to flourish. 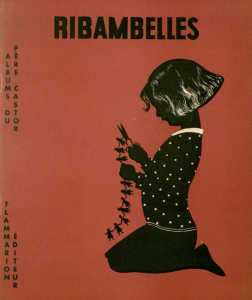 She started out as Faucher’s art director at Flammarion and illustrated a great number of children’s books in the next three decades. Even though her colors were not as bright and vivid as Rojankovsky’s, her strength was in the simplicity and elegance of her shapes. 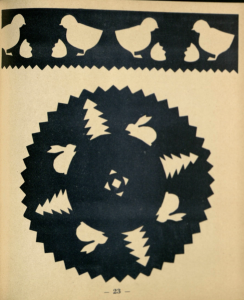 More elaborate than her constructivist contemporaries, her work is fresh, simple, and timeless. The overall effect and result of this international team of educators, authors, and artists is the most influential series of children’s books and its lasting legacy.